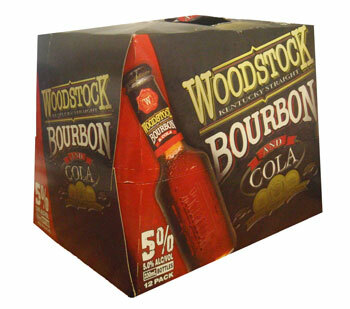 This convenient pre-mixed bourbon with cola has a rich & smooth flavour and is NZ’s no. 1 selling bourbon-based RTD. Woodstock is a genuine Kentucky bourbon, wood aged in white oak barrels and charcoal filtered to capture the premium mellow flavour. Absolutely stunning nothing nicer than a good old bourbon but unfortunately just moved from néw zealand to the UK and having trouble finding it and it's really expensive to buy here. I'd usually have a few boxes in the weekend back in New Zealand but can't any more which is quite depressing to be fair. All I want is to have a nice lovely Woodstock right now. Woodstock is the only drink I can drink that dosent give me a hangover or make me feel sick,its smooth very YUMMY and I love it. I have just moved from Australia to the UK ,and trying very hard to find it here with no luck yet,if I dont find it soon I think I might cry or maybe move back to Aus just so I can enjoy the BEST DRINK EVER!!!!!!!!! !